Two nation-states debate, the world watches, and a longsuffering people await their fate. 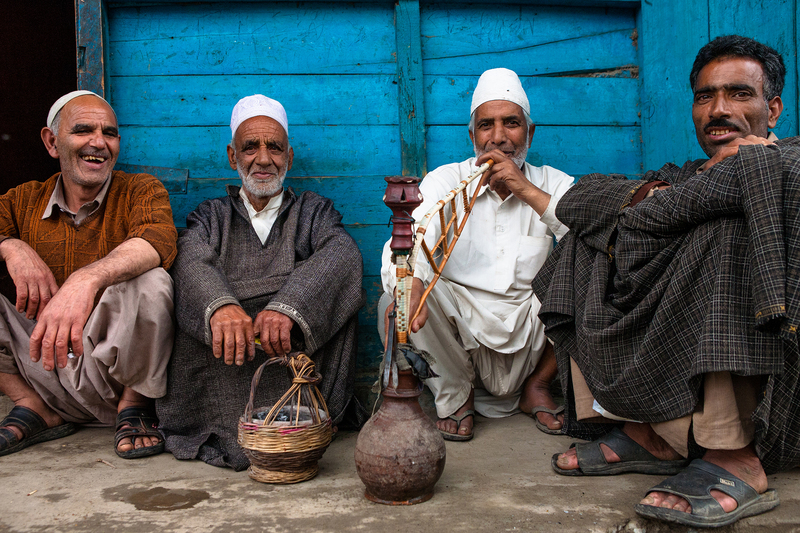 To assert that Kashmir has been at a perennial crossroads is a gross understatement. For the good part of sixty years, Indian, Pakistani, and Kashmiri interests have been tussling over the disputed region. For the most part, though, the South Asian nation-states have been able to impose their authority on the region, many a time to the detriment of the Kashmiri people. This is not to imply, however, that Kashmiris are or have been resigned to victimization. In April of 2013, supporters of the Jammu Kashmir Liberation Front (JKLF) in Indian-controlled Kashmir protested a court ruling that sentenced more than twenty political prisoners to life in prison, in addition to demanding the return of the remains of recently-executed Kashmiri extremist, Mohammed Afzal Guru (Safvi, 2013). These specific requests are united by the general call for long-term peace and democracy in Kashmir. As atrocities committed by India’s Central Reserve Police Force (CRPF) have mounted in recent years, this call has intensified considerably, with a number of political commentators and activists seeing Kashmiri democracy as the core component of any solution to the six decade-old question. Visions of the democracy in question are far from homogenous. The various parties involved in the dispute have all produced their respective roadmaps for a peaceful and democratic Kashmiri future, which, despite overlapping in certain key respects, differ in ways that hold serious ramifications for the Kashmiri people. Drawing on a diverse range of theoretical perspectives, this paper examines two such roadmaps produced by the JKLF and an Indian parliamentary delegation deployed to the Kashmir Valley in May of 2012. Appreciating the rationale behind the JKLF’s manifesto for Kashmir naturally necessitates understanding the JKLF itself. Founded in 1977 with Pakistani support, the JKLF is a secular nationalist group that seeks Kashmiri independence from both India and Pakistan (“Who are the Kashmir militants?” 2012). Several commentators acknowledge a JKLF bomb attack carried out in July of 1988 as the formal start of the Kashmiri insurgency (Ibid), and the group is unsurprisingly classified as a South Asian terrorist organization by the Indian government. Ironically, the success of the Kashmiri insurgency worked against the JKLF in the medium term, as Pakistani politicians – many of whom had initially backed Kashmiri independence after conceding defeat to India – switched to supporting groups in favor of the region’s accession to Pakistan. “Sandwiched between Indian security forces and pro-Pakistan militants,” the JKLF suffered a significant decline in the 1990s as its leadership became factionalized, and its organizational units were “dispersed, destroyed, or absorbed into other groups” (Ibid). The group has experienced something of a reimagined resurgence in recent times, with various factions “coming together in a non-violent political movement for the reunification of Pakistani and Indian Kashmir” (Ibid). To a large extent, the JKLF’s plan for a fully independent Kashmiri state is contingent upon the UN’s willingness to mediate fairly between the different parties involved in the dispute. But is the UN any more likely today to drive Kashmir’s transformation then it was sixty years ago? The JKLF’s ideological reorientation is apparent in the stated purpose of its roadmap for the resolution of the Kashmir conflict, which is “to ensure a peaceful, prosperous and respectable future for India, Pakistan and Kashmir.” At the same time as the JKLF claims to be concerned with regional security, it also laments the “miseries, massacres, and continued agony” endured by Kashmiris in the past sixty years; it warns that failure to answer the Kashmir question could spell disaster for all parties concerned (Jammu Kashmir Liberation Front). In keeping with a Security Council Resolution passed in June of 1998, the UN Secretary General would set up an International Kashmir Committee (IKC). The IKC’s members would be nominated by the UN Secretary General, permanent member countries of the Security Council, NAM, OIC, EU, Germany and Japan, with each party reserving the right to make one nomination. The IKC would discuss the JKLF’s proposal for an independent Kashmiri state, coordinating with the leaderships of India, Pakistan, and Kashmir to determine the proposal’s implementation. All armed forces, civil personnel, and militant groups would withdraw or be withdrawn from Kashmir. All militants opposed to and in favor of India would be disarmed. Persons displaced by the struggle would also be repatriated to their homes. All internal roads in Kashmir closed since 1948 will be reopened. The first national assembly will be established in Srinagar, the current capital of Indian-controlled Kashmir. The assembly will be populated by senior members of existing assemblies at Srinagar, Muzaffarabad, and Gilgit. The elected parliament will be bicameral, with the national assembly serving as the lower house and a senate serving as the upper house. In a nod to America’s Congress, the lower house’s capacity will be determined by the populations of the five Kashmiri provinces (the Kashmir Valley, Jammu, Ladakh, Azad Kashmir and Gilgit Baltistan), all of which will have equal representation in the senate. Fifteen years after reunification and independence, the UN will supervise a referendum in which Kashmiris will have to opportunity to remain independent, join India or Pakistan, or “adopt any other [democratically supported] course [of action].” “Implementation of the result of the referendum will settle [...] [the Kashmir question] forever” (Jammu Kashmir Liberation Front). The final section of the JKLF proposal highlights the most salient features of the roadmap. Many of these pertain to the positive impact that implementation of the JKLF formula will have on the relationship between India and Pakistan. According to the JKLF, the roadmap would leave the “national ideologies” of India and Pakistan intact, as neither would have to concede control over Kashmir to the other. As such, Kashmir would become a “bridge of friendship” rather than a “bone of contention” between India and Pakistan, paving the way for diplomatic and economic gains through the resolution of other disputes. This would not only eliminate the prospect of nuclear war between India and Pakistan but also increase the international standing of the South Asian nations. As far as the Kashmiri people are concerned, the JKLF is confident that its roadmap would let them employ their “freely expressed and unfettered will” to decide their own future. Political freedom aside, Kashmiris would be spared the myriad traumas associated with continued mass migration, communal and ethnic disturbances, and overall bloodshed (Jammu Kashmir Liberation Front). Despite sympathizing with the Kashmiri people for many of the aforementioned reasons, the Indian parliamentary delegation’s roadmap for peace and democracy in the region was deplored by a number of Kashmiri figureheads. Yasin Malik, the chairman of the JKLF, avoided meeting with the delegation, subsequently stating that the report’s recommendations proved the Indian leadership’s “intellectual bankruptcy” (Gill and Kumar, 2012). The delegation’s findings notwithstanding, the events that precipitated its visit contextualize Malik’s sentiments. In February of 2010, Kashmiris were up in arms after Indian authorities in Srinagar killed 13-year-old Whamiq Farooq Wani in controversial circumstances. Wani died after being hit in the head with a tear gas shell fired by Indian police forces attempting to disperse protestors. Not long thereafter, protests engulfed the Kashmir Valley. 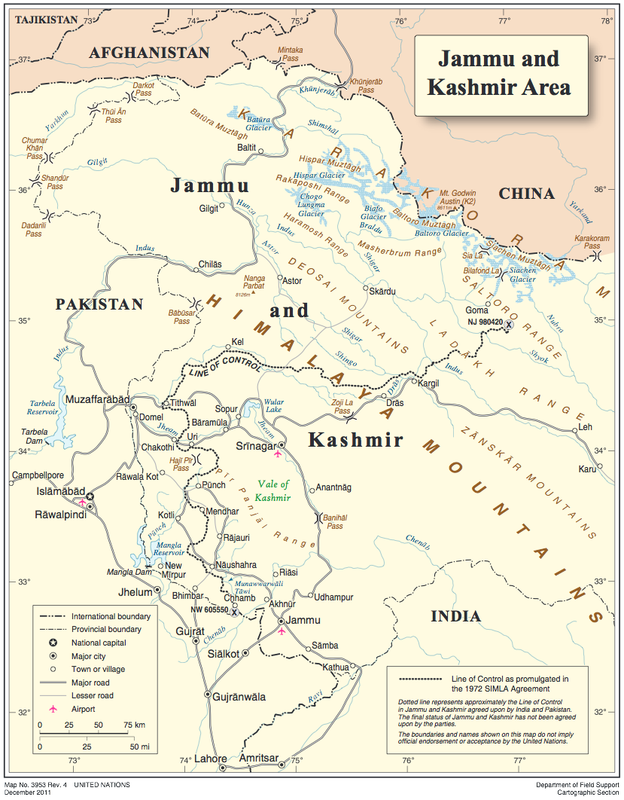 Seeking to calm tensions, an Indian parliamentary delegation traveled to Kashmir, holding discussions with “all sections of the population,” calling for an end to protests, and formulating “a regional road map for peace” (Gill and Kumar, 2012). The delegation was by no means undistinguished, with former Times of India editor Dileep Padgaonkar, academic Radha Kumar and retired bureaucrat M. M. Ansari among those tasked with the “mammoth job” of answering the Kashmir question. After meeting with 700 other delegations and around 6,000 Kashmiris over more than two years, the delegation published its recommendations (Gill and Kumar, 2012). A New York Times article published by reporter Hari Kumar and researcher Nikhila Gill shortly after the delegation’s report identified some of its key points, contemplating the possible causes of resultant Kashmiri discontent. The report began by noting that there is a “deep sense of victimhood in Kashmir,” the citizens of which want to lead a life of “dignity and honor” (Gill and Kumar, 2012). It built on this premise by stating that the Kashmiri people desire “freedom from all forces of religious extremism, unaccountable administration, harsh laws, judicial delays, intimidation and violence,” adding that “a political settlement in Jammu and Kashmir can be achieved only through dialogue between all stakeholders” (Gill and Kumar, 2012). With regard to dialogue, the delegation called for increased interaction between Indian-controlled Kashmir and the surrounding areas, civilians in the two parts of Kashmir, and the Indian government and the Hurriyat Conference, an umbrella organization of separatist groups; it also recommended an exchange program for artists, students and intellectuals from both sides of the border. However, it then stipulated that Jammu and Kashmir should remain a single state within the Indian Union, anathema to most proponents of the Kashmiri cause. This recommendation did come with certain caveats: for instance, India’s central government would require the state’s assent to pass laws in most regulatory areas, with all central government acts and articles of the constitution related specifically to the state being reviewed by Constitutional Committee; residents of other states would also not be allowed to purchase land in Kashmir. Needless to say, these concessions did little to reassure Kashmiris, who almost unequivocally see continued Indian political authority of any kind as unacceptable (Gill and Kumar, 2012). In addition to looking into Kashmiri wishes, intercultural dialogue, and state regulation, the delegation explored economic avenues for cooperation and ruminated on migration issues and the release of Kashmiri prisoners. It stated that tourism across the Line of Control that divides Indian and Pakistan-controlled Kashmir should be encouraged, and that the state should create special economic zones to encourage investment, provide export incentives for handicraft s and horticulture, and complete pending rail and road projects (Gill and Kumar, 2012).